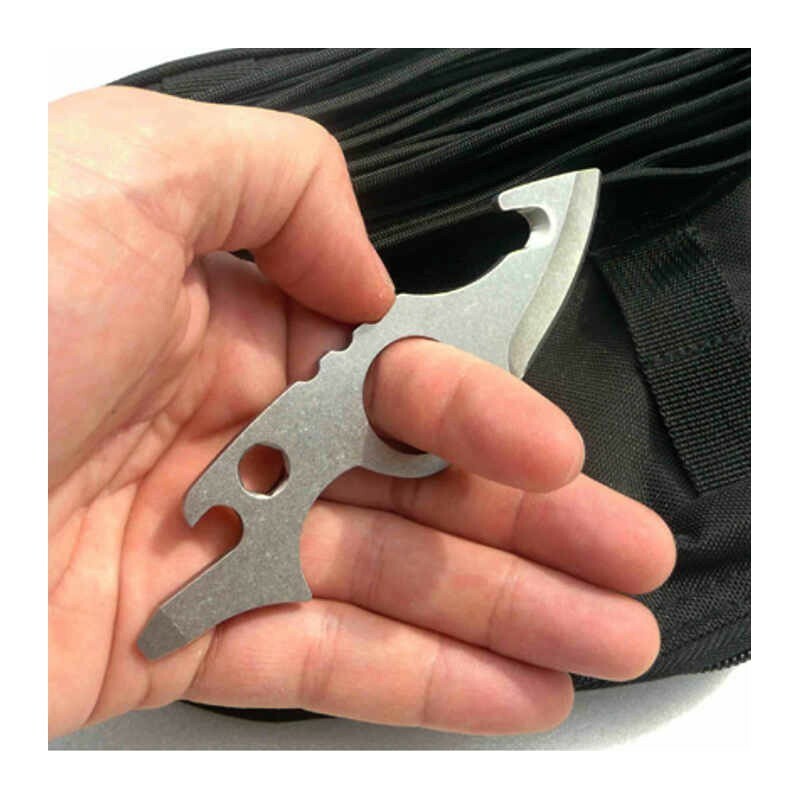 The SMJ5 is a small survival knife (13 cm for 38gr), made of stainless steel 440C. 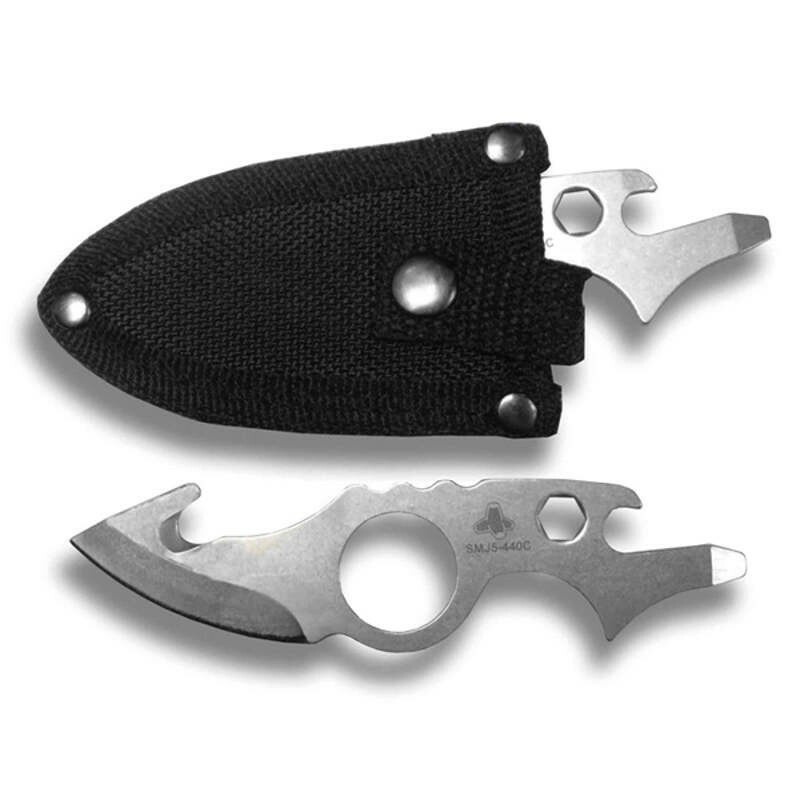 The SMJ5 is a small survival knife (13 cm for 38gr), made of stainless steel 440C, type "claw". The concept of the Claw was invented by Fred Perrin, French cutler of international renown, who agreed to the use of this principle on the SMJ5. The SMJ5 has a main blade (cutting edge approx. 4.5 cm), a belt cutter / wire cutter, a flat screwdriver, a bottle opener and a fingerprint for nut or Allen key 8 mm. This small versatile tool offered at a ridiculous price will find its place in a small survival kit or will prove useful in everyday life to open boxes, cut strips, etc. Comes with a nylon case.